A native of tropical Africa, this species is cultivated for its oily seeds, a component of food mixes for caged birds. First collected outside of cultivation by O. A. Farwell on the banks of the River Rouge, Wayne Co., in 1930. The ray and disk flowers are both yellow. 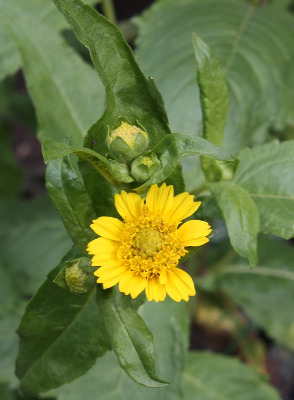 The heads rather resemble those of a Bidens, but the foliage could be confused only with that of B. cernua. The heads, however, do not nod and there are no awns or other pappus. MICHIGAN FLORA ONLINE. A. A. Reznicek, E. G. Voss, & B. S. Walters. February 2011. University of Michigan. Web. 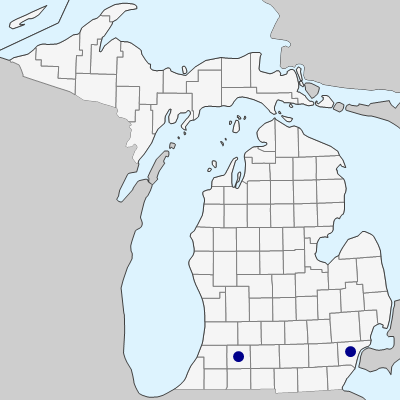 April 19, 2019. https://michiganflora.net/species.aspx?id=341.